Outlined below are a few "Key Things to Know" about Justin Timberlake and SAP Center at San Jose. If you have any further questions, please don't hesitate to call us at 408-287-7070. 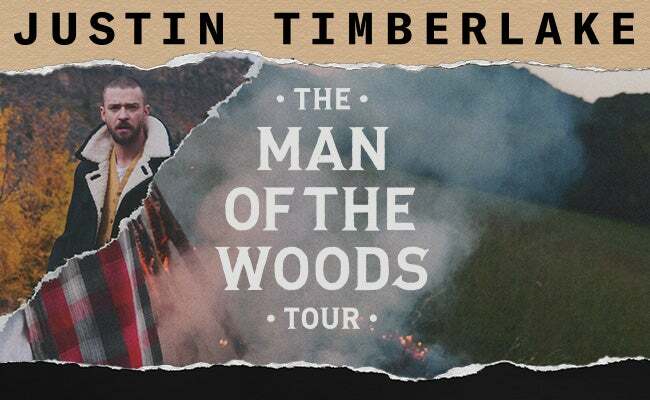 Will Call opens at 5:30 p.m.
Justin Timberlake is scheduled to begin at 7:30 p.m.
Download the Uber app and enter promo code SAPCENTER2018 or click here to sign up and get your first Uber ride free, up to $20. Ask your driver to drop you off in our designated drop off locations on Autumn and Montgomery Streets. After the show, walk west of the arena and request your ride from the Uber Zone on Stockton Avenue for the smoothest pick-up experience. 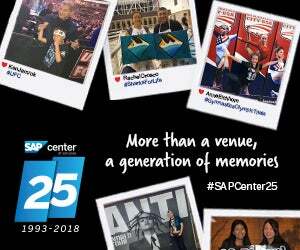 SAP Center at San Jose welcomes guests with General Admission tickets to arrive and form the line in advance of typical arrival times for events. All guests are required to abide by the provisions within the following policy. Ticket holders found in violation of the following policy may be asked to surrender their tickets and leave SAP Center property. 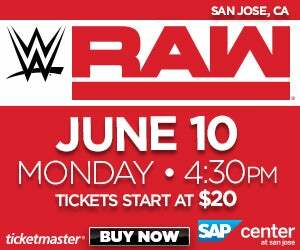 The GA line will be formed along the Santa Clara Street wall of SAP Center as indicated by signs saying “General Admission Entrance.” The GA line will enter SAP Center through “Entrance B” (the doors between the BMW Lounge and the Sharks Store). GA ticket holders may begin lining up at 9:00am on the date of show. Entering the GA line indicates the guest’s agreement to abide by all SAP Center policies and procedures (the same as while inside the building). Upon arrival, each guest who indicates he or she has GA floor seating will have a wristband put on his or her right wrist. Wristbands will be distributed starting at 9:15am (subject to change). All guests in a party, meaning all those attending with the guest that purchased the tickets, must be present at the same time to receive the wristbands. The order of entrance into the building will be based on the number on the guest’s wristband. Wristbands will be provided on a first come, first served basis. Once a GA ticket holder has their wristband, they may remain in line or leave the area, but must return to their sequential place in line by 5:00pm. GA ticket holders who received a guest pass from one of the SAP Center parking lots and elect to leave after receiving their wristband will not be charged a parking fee. There are no in-n-out privileges in the SAP Center managed parking lots after 4:00pm. Any guest with a guest pass after 4:00pm will have to pay the event parking fee of $25. Other ticket holders must remain outside of the blockaders that separate the GA line. Guests are not permitted to “hold” a place in line for other guests who are arriving later. The wristband must remain on the guest’s right wrist while in line. Loss or removal of the wristband will require the guest to obtain another wristband and take their sequential place in line. Any guest found with a tampered wristband will have his or her wristband confiscated and will lose their place in line. GA ticket holders will be admitted in sequential order once doors are opened, scheduled for 6:00pm. Guests are permitted to have a reasonable amount of food and non-alcoholic beverages while in line. No bottles (including water bottles), cans or food are allowed into the building. Please be respectful of other guests in line - no running, pushing or line jumping; no alcohol, drugs or glass containers; no horseplay or unsafe behavior; no profanity; no tailgating, open flames or barbeques; no selling of tickets, wristbands, concessions or merchandise; no animals (except service animals); no smoking in line. Prohibited Items: The following items are prohibited from entering the building: all outside food and beverages, weapons of any kind, wallet chains, pepper spray/mace, alcohol, cameras with detachable lenses, video recording equipment, audio recording equipment, laser pointers, fireworks, iPads, GoPros, selfie-sticks, glow sticks, glass bottles, plastic bottles, or cans. Any person with these items found within the venue during tonight’s event may be subject to ejection from the venue without refund. Thanks – Have a Great Time! !